Although meat, eggs, and cheese are all staples of a low-carb diet, they aren’t the only foods you eat when you are on a healthy low-carb lifestyle. We all know you can consume delicious and nutritious foods like nuts, some low-glycemic fruits, and green leafy as well as non-starchy vegetables. 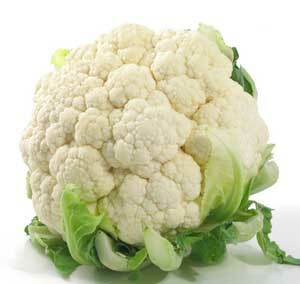 The king of the non-starchy veggies above all others has got to be cauliflower. It’s so versatile in the kitchen and saves you a TON of carbs on your plate! In Episode 52 of “Livin’ La Vida Low-Carb On YouTube,” I’m pleased to share my version of the classic mashed cauliflower recipe that everyone who has been on low-carb undoubtedly has tried. I even have tried to make Better-Than-Potato Cauliflower Pancakes previously that give you yet another option for cauliflower. And “ricing” your cauliflower is becoming more and more popular as well. Everybody has their own mashed cauliflower recipe and some have suggested adding a little cream cheese instead of the heavy whipping cream. Also, I’ve heard from a couple of people who said you can steam the cauliflower to soften it up rather than boiling it which will prevent the water from being soaked into the cauliflower. GREAT IDEAS! Check out my low-carb blogging friend Kent Altena share his mashed “faux-tatoes” recipe for even more ideas on this classic low-carb dish.